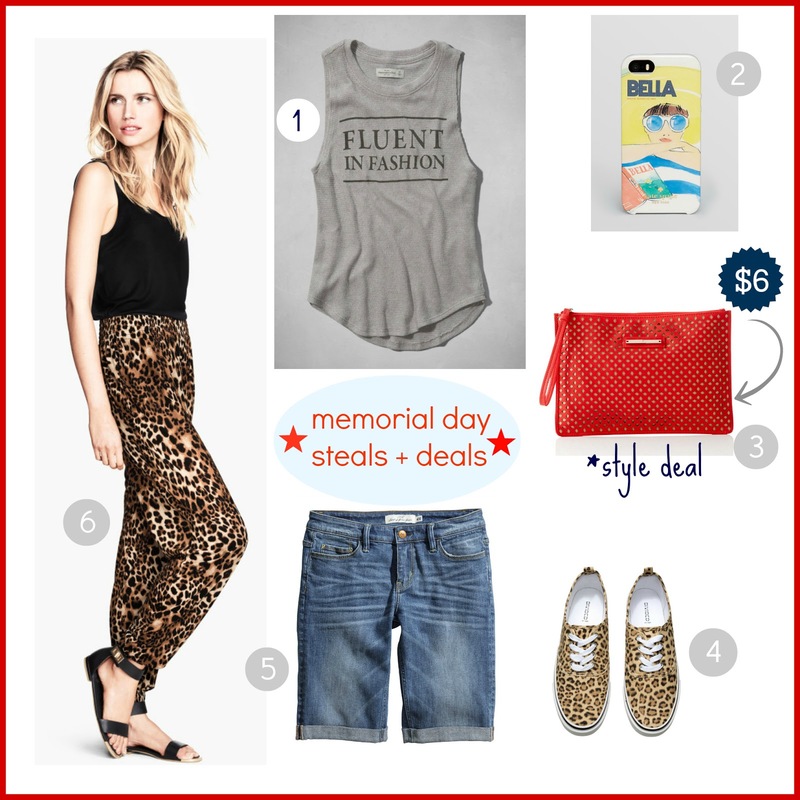 Tracy's Notebook of Style: Memorial Weekend Sales + Codes!! Memorial Weekend Sales + Codes!! The big Memorial Day Weekend sales are already here and you can get a jump start on savings and still have plenty of time to enjoy the long weekend! I'll be updating this list as new sales begin - make sure to check back! American Eagle Outfitters Take an additional 50% off clearance + Free Shipping on all orders *Spend $60+ and receive a free beach bag while supplies last. H&M Memorial Day Deals - up to 70% off! The Limited Take 40% off everything - including sale prices! Nordstrom Half-Yearly Sale for Women and Children - up to 40% off! Nordstrom Rack Clear the Rack event starts Friday in stores - take an extra 25% off clearance prices! Check out The Fashion Palate for even more sales and codes! Nice list! I just love the tank top you picked out. Also, I went over to KS Saturday, I had a sale bag in the basket already, but noooo it's sold out! :( BUT did you see the jumping gazelle's pouch for $15? SO cute, I'm buying it. :D And thanks for the shout out per usual. I indeed had a blast at Abercrombie's 40% off store-wide sale.....I got a great pair of denim cut offs which has been on my wish list for quite a while now! Nordstrom Half-Yearly Sale + Picks! !